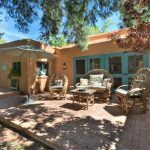 Santa Fe, New Mexico has been around for 400 years, so there is a lot to learn and appreciate about the real estate. 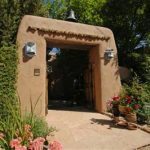 I have lived in Santa Fe since 1982, selling Santa Fe homes and land. I love to share the history and architectural styles of Santa Fe: pueblo style, territorial style, contemporary southwest style, modern style. Why live in Santa Fe ? Beautiful – Holistic – Heathy – Fun – Friendly – Traditions – Four Seasons – Multicultural Citizens – Outdoor Activities – Cultural Activities – Trips close by – Fine Dining – Non Profit Community – Low Taxes – Affordable Lifestyle – La Pura Vida. Why use me as your Buyer Broker? My 35 years negotiating Santa Fe real estate deals will serve you well. I listen and service your real estate needs from beginning to end. 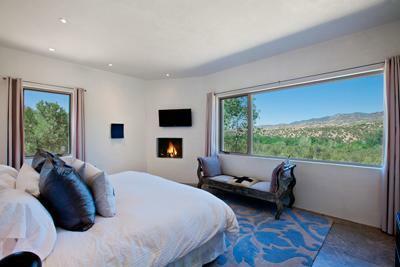 I show you Santa Fe homes and land, but I teach you about Santa Fe Style and Santa Fe lifestyle opportunities. My background: Age 59, Granddad, Liberal arts education/BA Fine Arts, Investor, Author, Past President Santa Fe Kiwanis Club/Downtown Kiwanis Foundation, ABR/Accredited Buyer Agent, CRS/Certified Residential Specialist, SRS/Senior Residential Specialist, GREEN / Green Certified NAR. See further details on LinkedIn and Facebook. Negotiate a successful contract that serves your needs. Process your escrow with professionals who guide you to a smooth landing and successful closing. Network you to social and business opportunities in Santa Fe. Contact me now for your FREE analysis!